The extent to which people were able to learn and practice biomagnetic resonance testing which is a method of scanning the body to detect biomagnetic and microbial imbalances. The extent to which participants were able to learn advanced protocols. The below two tables are extracts from this report. If you would like a full copy of this report, please request it here. 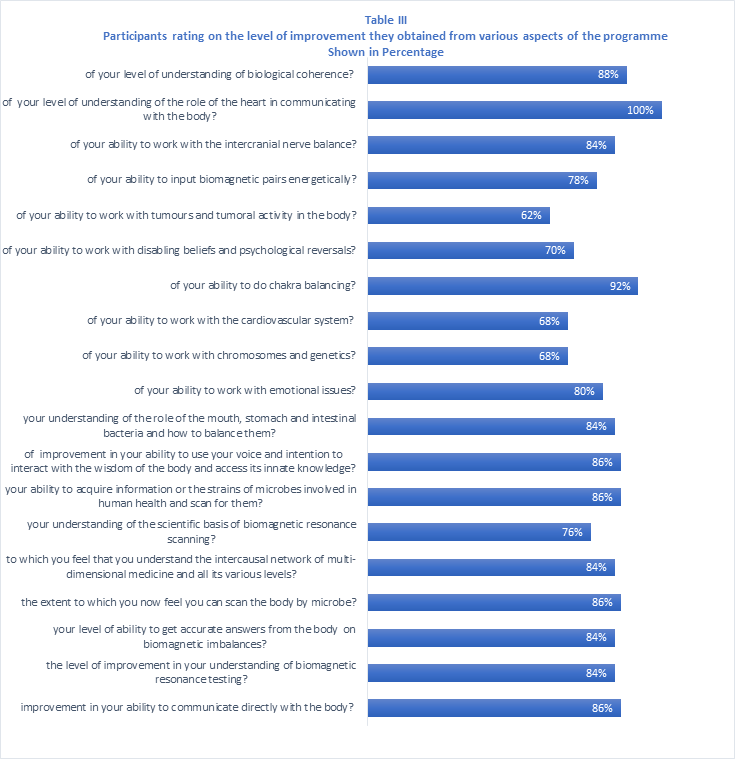 Looking at the above numbers, we conclude that this is an exceptional response from participants indicating that most of the level of improvements are between 80% and 95%. the extent of the clarity to which people feel confident about setting up their own business as a practitioner. 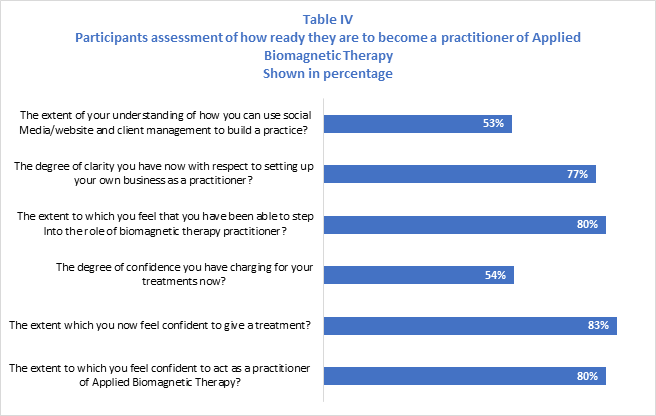 Areas for improvement in this regard would be in the degree of confidence participants have in charging for their treatments and also the extent of participants understanding and how to use social media and websites and client management in order to build a practice.